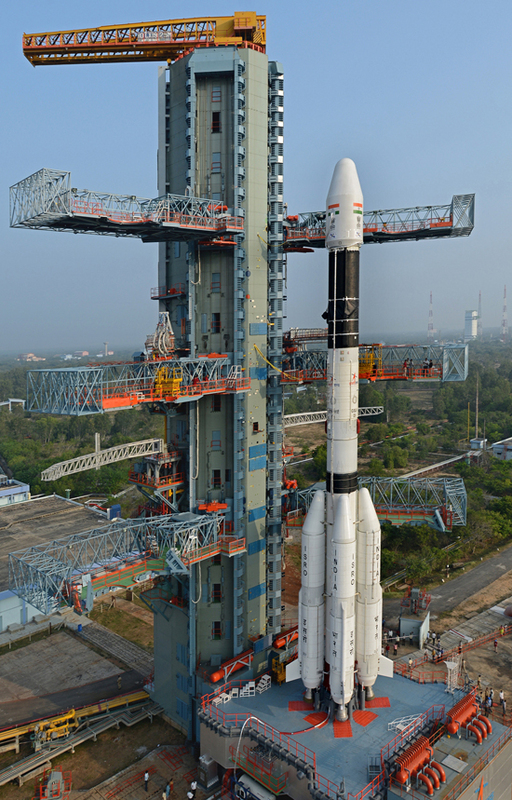 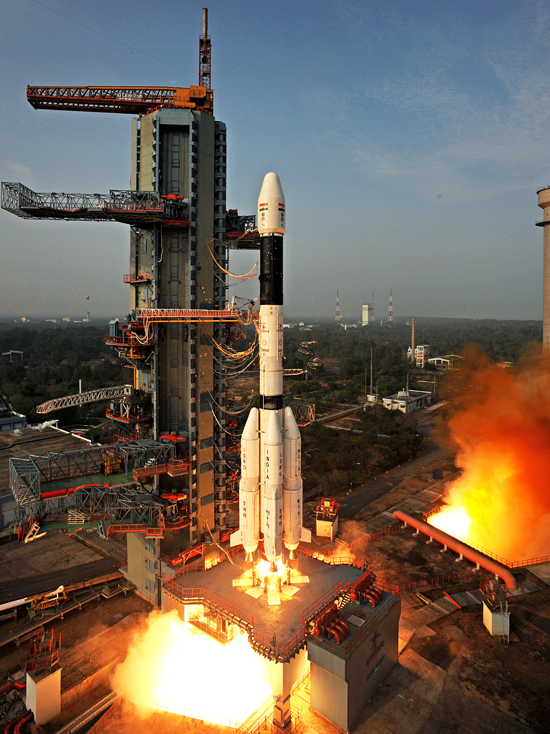 Final station acquisition manoeuvre was successfully completed to place the GSAT-14 satellite in its designated orbital slot of 74 degree East on Jan 18, 2014. 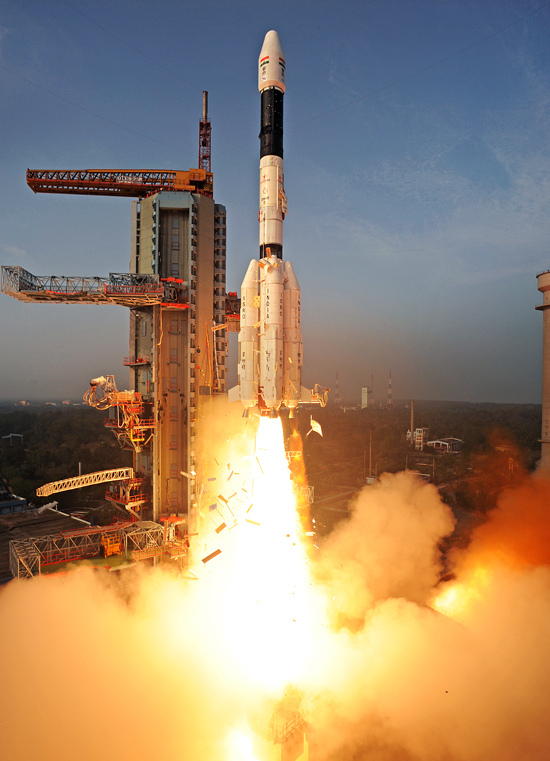 Third orbit raising operation of GSAT-14 is successfully completed by firing the Apogee Motor for 172 seconds on Jan 09, 2014. 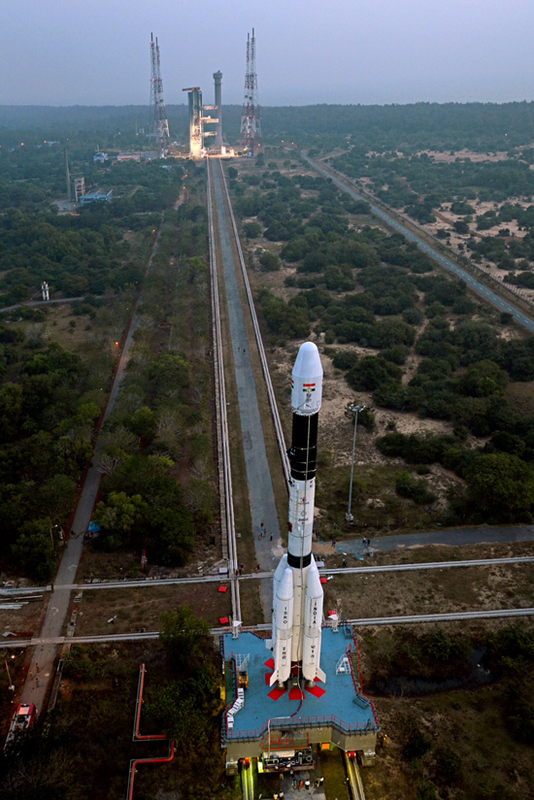 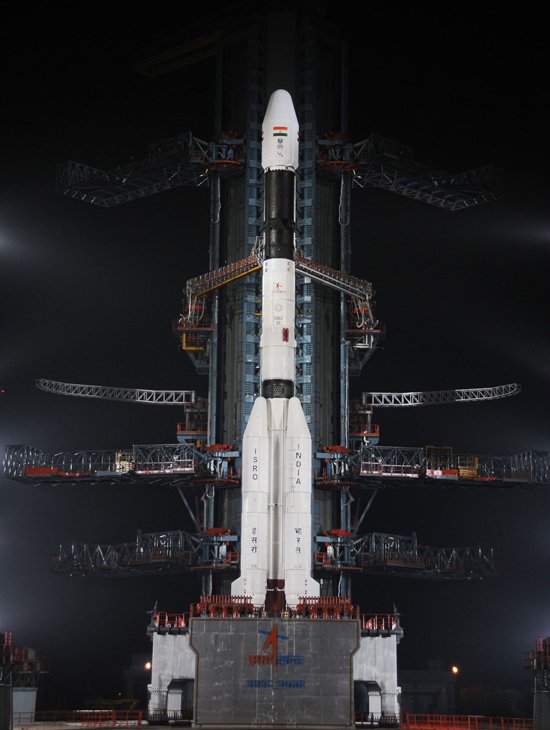 East and West Antennae of GSAT-14 have been deployed successfully at 09:18 hrs (IST) and 11:30 hrs (IST) respectively. 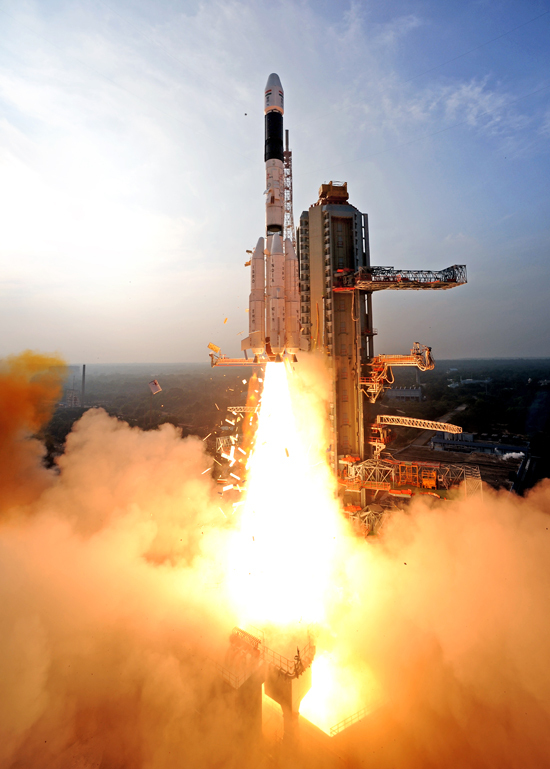 Realised orbit is 35,462 km (Perigee) by 35,742 km (Apogee) with an inclination of 0.25 deg. 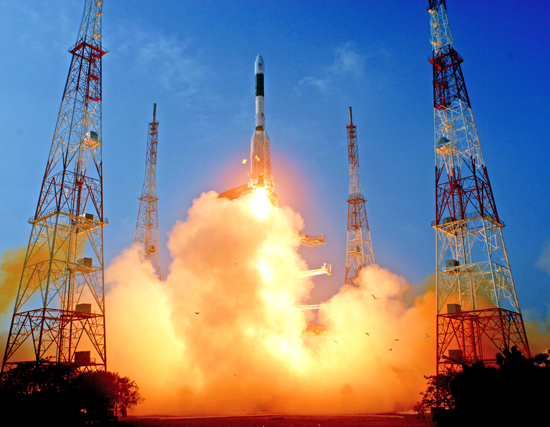 Second orbit raising operation of GSAT-14 is successfully completed by firing the Apogee Motor for 2,629 seconds on Jan 07, 2014. 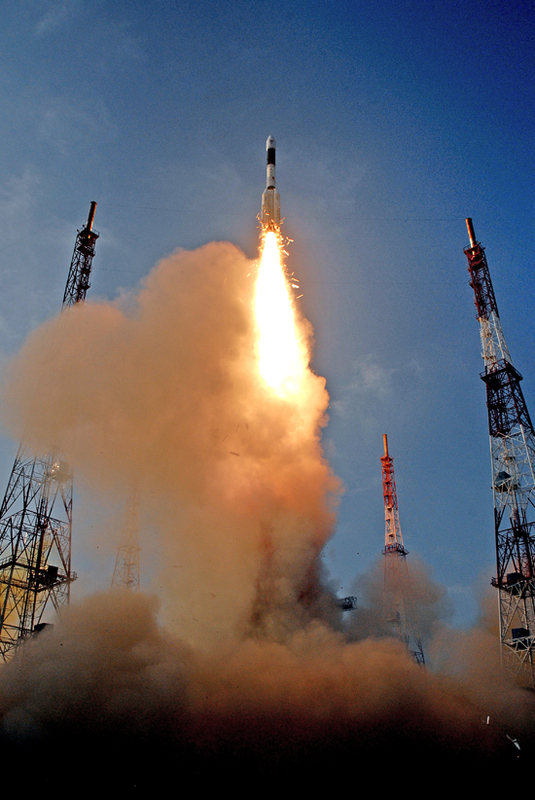 Realised orbit is 32,160 km (Perigee) by 35,745 km (Apogee) with an inclination of 0.6 deg. 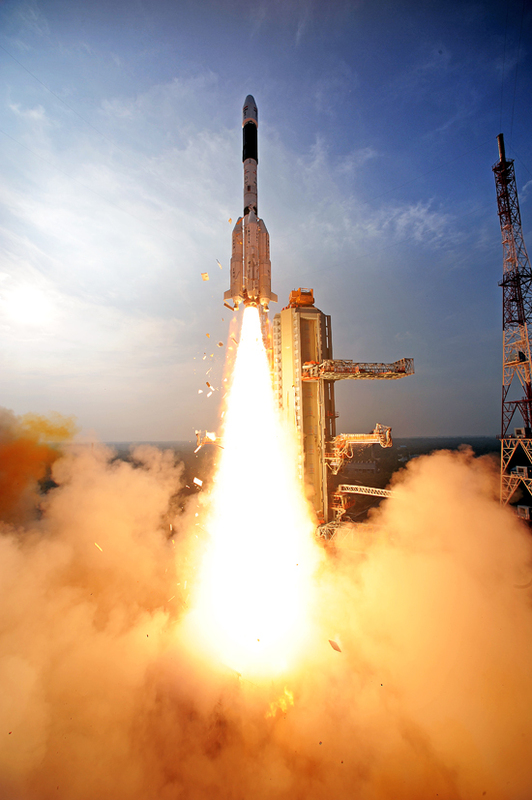 First orbit raising operation of GSAT-14 is successfully completed by firing the Apogee Motor for 3,134 seconds on Jan 06, 2014. 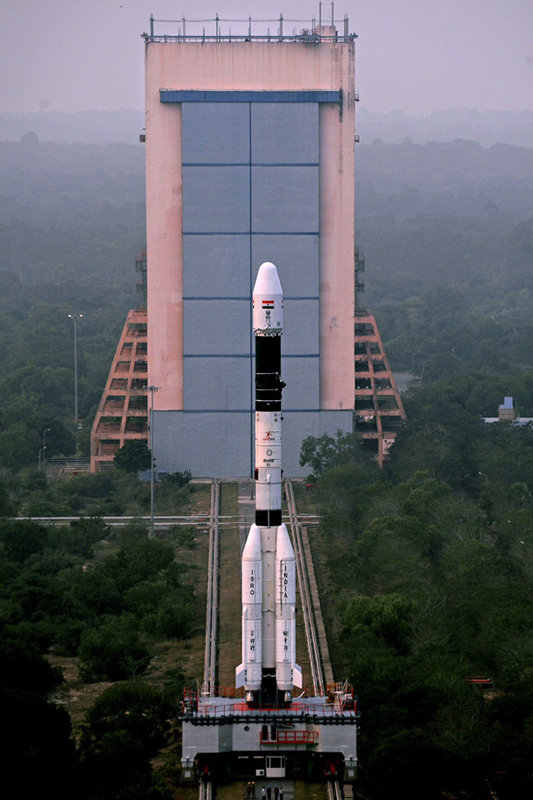 Realised orbit is 8,966 km (Perigee) by 35,744 km (Apogee).